Complete OpenGeo Suite 4.8 Cloud Hosting. You own private OpenGeo Suite 4.8 cloud instance, fully configured and ready to go. Be up and running with OpenGeo Suite in minutes. Scale any resource up or down at any time. Fully managed PFSense firewall to keep your installation secure. 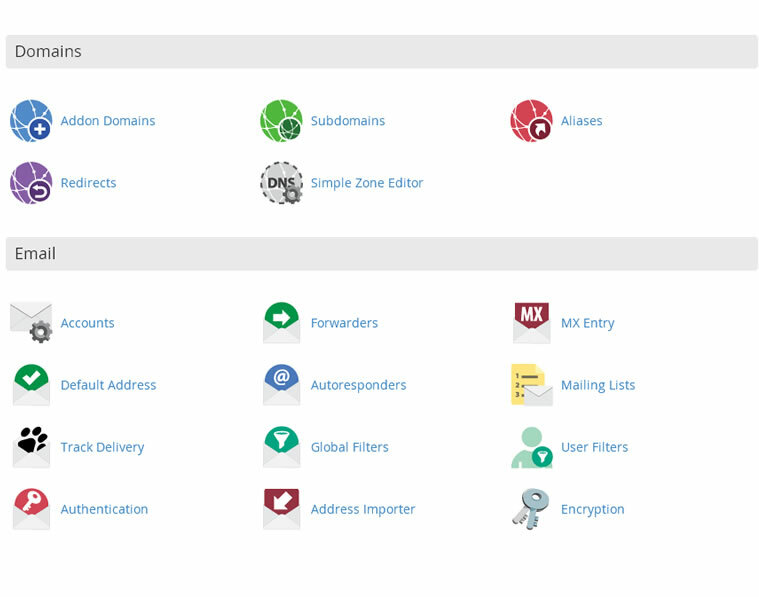 Use our exclusive cloud panel to manage your PostgreSQL databases and services. Includes free domain and email hosting. Be up and running with OpenGeo Suite 4.8 in minutes! **Note: If you are just looking for GeoServer hosting, please see our GeoServer Hosting Plans. Prefer the latest GeoServer, PostgreSQL, PostGIS, Tomcat? Have a look at AcuGIS Suite or AcuGIS Enterprise Suite. Do the OpenGeo hosting packages contain everything I need? Yes. All of our OpenGeo hosting plans include everything you need: web, email, OpenGeo, private Tomcat instance, PostgreSQL and MySQL, etc... The package contains everything you need to put your OpenGeo applications online. Cloud Hosting means that your entire site (files, databases, email, etc..) is distributed across multiple servers. This not only provides increased protection for your data, it also allows us to provide High Availability and Failover. In the event of a hardware issue on one server, there is always another server to step in and keep your site available. Finally, Cloud Hosting means easy scaling. You can add any resource such as CPU, RAM, and disk easily and without downtime. Can I add Drupal, Wordpress, etc.. to my OpenGeo hosting? Yes. All of our OpenGeo hosting includes cPanel and web space. You can install 100s of the popular applications in one-click or install manually if you prefer. You can also use your web space for your own HTML, PHP pages or anything you wish to. By default, OpenGeo is mapped to geo.yourdomain.com, so you can use your domain for your web site, CMS, etc... There is no additional charge. Do I need to install OpenGeo? Only if you want to! When you place an order for OpenGeo Suite hosting your account is set up with OpenGeo Suite installed and ready to go. If you wish to re-install or deploy a new or existing OpenGeo Suite you can do so in few mouse clicks. What level of support can I expect ? Support is provided 24x7x365. We will always do our best to assist you with any facet of your hosting. Do I need to know how to use Tomcat ? No. While you do have full access to your Tomcat server, the only time you will likely interact with Tomcat is to restart it (which you can do via our control panel). After adding certain GeoServer extensions, Tomcat needs to be restarted. Same for adding other applications. We can perform these operations for you via support ticket if you prefer. Do I have access to the GeoServer Admin GUI ? Yes, can access the GeoServer Admin GUI from any browser. We offer a choice of United States, United Kingdom, or Germany on all hosting plans. Our company headquarters are located in the United States (Las Vegas, Nevada). Our support teams are located in the United States and the United Kingdom. Which version of OpenGeo is available? By default, the latest stable version is installed. If you prefer an earlier version or Beta version, simply state so on the order form in the "Order Notes" section. Yes, PostGIS is available and is included in all hosting plans. You can install PostGIS in one click from your control panel. Our PostGIS installer includes postgis, postgis_topology, postgis_tiger_geocoder, fuzzystrmatch, and address_standardizer extensions. Yes. You can install pg_routing 2.0 in one mouse click via your control panel. Yes! You have a private Tomcat instance. If you wish to add GeoNetwork you can simply deploy the WAR to Tomcat. If you need assistance or would like us to add GeoNetwork for you, simply create a support ticket and we will install it. Can I 'rollback' my web server? Yes. All cloud hosting also includes backups at 30 minute intervals. You can restore a single file or restore your entire service to any point via our control panel. Are my site and databases backed up? Yes. web files are backed up at 30 minute intervals and you can restore individual files or your entire directory via our GUI. PostgreSQL is backed up 2x daily and the backups are available via the control panel. Additional PostgreSQL backups can be scheduled as well. You can also take one-click PostgreSQL backups via your control panel at any time. MySQL is backed up at 30 minute intervals and can also be restored by via the control panel. We support clients in over 40 countries worldwide. While phone support is only offered in English, you can create support tickets or reach us on LiveChat in virtually any language and we will translate to/from in repsonses. About 20% of our clients create support tickets in languages other than English with German and Spanish being the most common. Do I need a domain name for OpenGeo hosting? No. You can use IP only or any existing domain you own, purchase a new domain (through us or through any domain registrar), or we can provide a free sub domain. You can also point a sub domain at our server (e.g. geo.mydomain.com). I already own a domain, do I need to transfer it to AcuGIS? No! While you are always welcome to transfer your domain to us, if you already own a domain elsewhere, you can just update your nameserves to point to our server. Unless you have an issue with your current registrar there is no functional benefit to transferring the domain to us. I want to buy a new domain name, do I have to buy it through AcuGIS? No! You can register a domain through us or through any domain registrar of your choice. Your domain does not need to purchased through us to make full use of our services. You can purchase a domain anywhere and simply update your nameservers to point to our server. if you wish to purchase a domain through us, you can purchase the domain during checkout. I have a domain hosted elsewhere and just want to point a sub domain at GeoServer. How do I do this? In your welcome email you will recieve the IP address for your server. Simply point the desired sub domain at the IP provided. Note: during checkout, for domain selection, select the fourth option as shown in the FAQ below. Once your account is provisioned and you are ready to point your sub domain we will update the sub domain accordingly. I'm still in development, I haven't decided on a domain, I will be using my own sub domain, I don't want to buy a domain, etc... which option should I select on the order form? Select the fourth below "Use a subdomain from AcuGIS" as below. Select the sub domain for the country you selected hosting for (US, UK, or Germany). If you decide to use your domain or are ready to point your own sub domain at our server, we will update the domain. Which forms of payment do you accept ? Is there any commitment ? If you opt for monthly billing there is no commitment and you can cancel at any time. If you opt for annual billing (which provides two months free), you are agreeing to a one year commitment. If you are uncertain about the service, you can start with monthly billing and then "buy down" to annual billing. Your monhtly payment would be applied to the annual invoice. Log into our portal and click the "Cancel" button. It will give you the option of immediate cancellation or auto-terminate at end of billing cycle. What is the 14 day money back guaruntee? At any time within the first 14 days of service you can cancel your account and your payment will be refunded. It is important to note that domain names are non-refundable as you retain ownership of the domain even if you cancel the service. Do you offer hourly or usage-based billing ? No. In order to provide optimal performance, it is important for us to know the amount of resources allocated to each service. Do you offer discounts for students and academic institutions? Yes. We offer a 20% discount to academic and research institutions. This discount is on top of any discounts for annual billing. So, for annual billing you would receive 20% off in addition to receiving two months free. Just sign up with a .edu email address and enter Promotion Code EDU20. Additional discounts are also available. Please inquire. We have been hosting since 2006. The company began in London as Application Outsource UK, providing remote Database Administration. In 2011, AcuGIS was formed and became part of Cited, Inc. We currently provide hosting service to individuals, businesses, academic and research instiutions, and goverment agencies in over 60 countries worldwide. Where is your support located? Our support teams are located in the US and UK. No. While you are welcome to host your clients on our servers and bill them directly, we do not have a formal reseller program. Do you have SSAE16, SOC, PCI, and HIPAA-Compliant Certification ? Our data centres have these certifications. You can learn more about them here. AcuGIS OpenGeo Suite Cloud Hosting is a complete hosting solution, containing everything you need. Our OpenGeo Suite hosting contains everything you need and is ready for use. Our system provisions your OpenGeo Suite and maps it to your domain (or sub domain) and you are online and ready to start building, editing, and serving your maps. Our comprehensive control panel allows you to easily and intuitily manage your domain(s), email, databases, GeoServer, and all facets of your hosting. AcuGIS has invested in a wide array of tools that are accessible via your control panel and can be installed in one click. These tools are not available anywhere else. We built them and we integrated them into cPanel, the most popular commerical hosting control panel. You simply won't find these tools anywhere else. 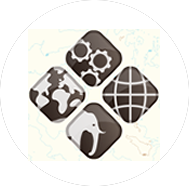 All of our OpenGeo Suite hosting packages are complete hosting solutions. In addition to OpenGeo Suite and our great GIS tools, all packages include unlimited domain hosting, email, webmail, site stats, and much more. We provide everything you need to put your web presence online. We also provide Enterprise grade hardware and geographically diverse DNS and networking. All tiers of our cloud infrastructe use SSD disks for lightening-fast performance. © Copyright 2017 Cited, Inc, all rights reserved.